Cheesy Bacon Wrapped Hot Dogs - hot dogs stuffed with cheese and wrapped in bacon - bake for 10 minutes and you have the BEST hotdogs! Use precooked bacon to get good and crispy bacon. Can prep the hot dogs and bake the next day. 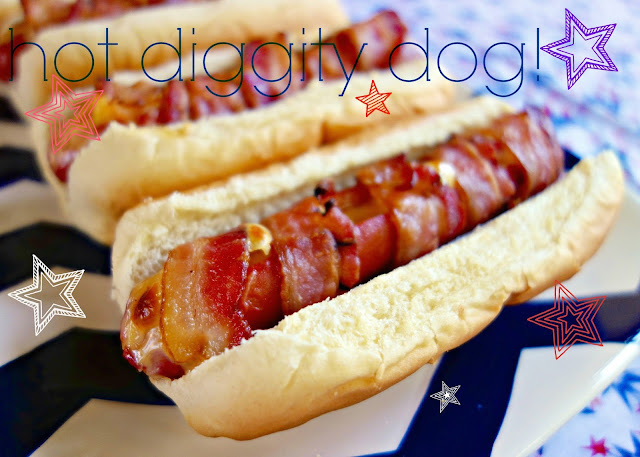 Looking for an easy and delicious 4th of July recipe? Look no further! 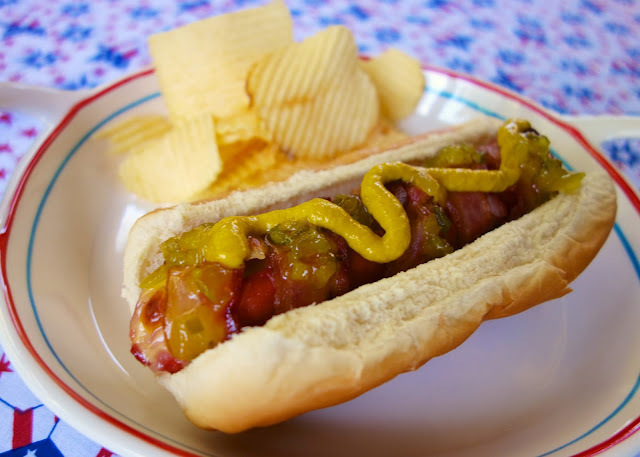 These cheesy bacon wrapped hot dogs are awesome! We are not big hot dog fans, but we both absolutely loved these hot dogs! How could we not? Cheese and bacon? YUM! I used Oscar Mayer Bun Length hot dogs. I'm really not sure why all hot dogs aren't bun length. Doesn't make sense. #deepthoughts Anyway, I stuffed each hot dog with American cheese and wrapped each dog in two slices of precooked bacon. You can use any cheese you like. I used American cheese because it melts so much better than other cheeses. I also highly suggest using the precooked bacon (or cook it yourself) so the bacon gets nice and crispy. I am not a fan of chewy bacon! The dogs can be prepared ahead of time and baked when you are ready for them. They would be a great addition to your 4th of July celebration next week or just a quick Summer lunch! Visit Plain Chicken's profile on Pinterest. Slit hot dogs lengthwise down the middle, but not all the way through. Stuff cheese strips into slit. Wrap 2 slices of bacon around each hot dog, securing with toothpicks. Bake hot dogs for 10 minutes. Serve in buns with desired toppings. My Mom used to make these for us all the time......we called them "Covered Wagons". Too funny!! 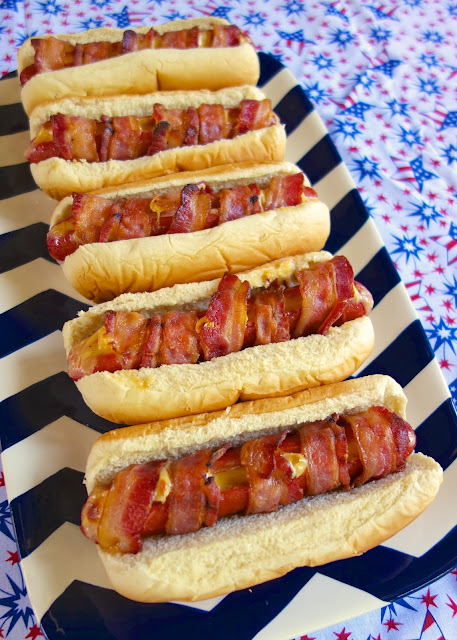 I just created and shared something very similar a week or so ago - it's great grilling weather and who doesn't love bacon wrapped around a juicy hot dog on the grill, especially when you add in some melty cheese? Yumm!! Perfect to have when watching the fire works on the Fourth! Love your dish & hot dogs!